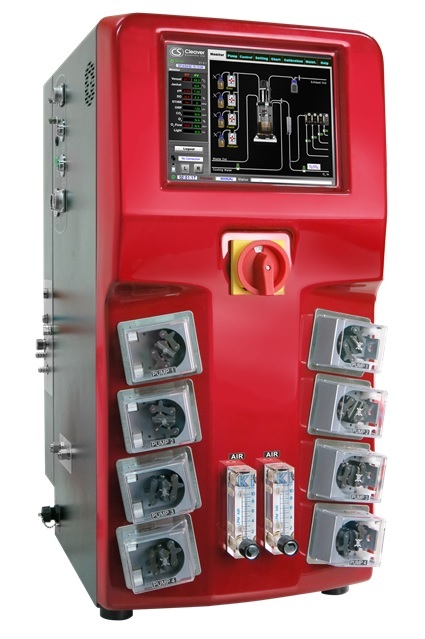 Incorporating a large, colour touchscreen panel with an intuitive software interface, proSET fermentation systems are very user friendly allowing productive use even by occasional operators. The proSET One combines space-saving design with operational versatility and affordability. The heating system in the proSET One allows you to use any fermentation vessel type up to 20-litres enabling a wide range of applications to be undertaken. The fermentation temperature, anti-foam, pH and DO probe are all included in the standard package. Optional expansion modules allow you to add additional devices to further enhance the capability of the system. The proSET Evo System is an all-in-one automated fermentation solution designed to provide easy, smooth and productive bioprocessing. The controller is pre-configured to support both thermostat and dry heating. Drawing upon its ability to accommodate vessels from 0.5 to 20L, the proSET Evo enables productive cultivation of cell lines including aerobic and anaerobic bacterial, yeast, plant, algae, fungal, mammalian and insect. The proSET Evo System is equipped with the latest control software with many advanced functions to boost your experiment efficiency. In addition to manual control of agitation, temperature, pH, DO level and feeding, you can also execute 15-step scheduled sequence controls on the above parameters as well as pH and DO feedback controls. A broad selection of plug-and-play optional devices is also available to meet specific fermentation requirements. The proSET Parallel System is the ultimate high productivity system for fermentation labs. Whether you need to run two identical experiments or different experiments at the same time, the proSET Parallel System allows you to run two thermostat heating, two dry heating or one thermostat and one dry heating experiment simultaneously. This state-of-the-art design is constructed with the utmost versatility and flexibility to work with all types and sizes of fermentation vessels. PC software enables remote control of up to 16 vessels for true parallel operation.